You’ll see them served up as appetizers at fancy work functions, ordered at happy hours, and shared among friends for a quick lunch. Oysters can be intimidating little creatures, but they don’t have to be. We recently sat down at the Union Standard bar, where you can try some of the freshest oysters in the city, in order to dig in to the mysteries of this mollusk. Here’s how you can enjoy this coastal delicacy without being intimidated by the plate in front of you. First things first, don’t stress about the names or where they’re from or what they’re served with. 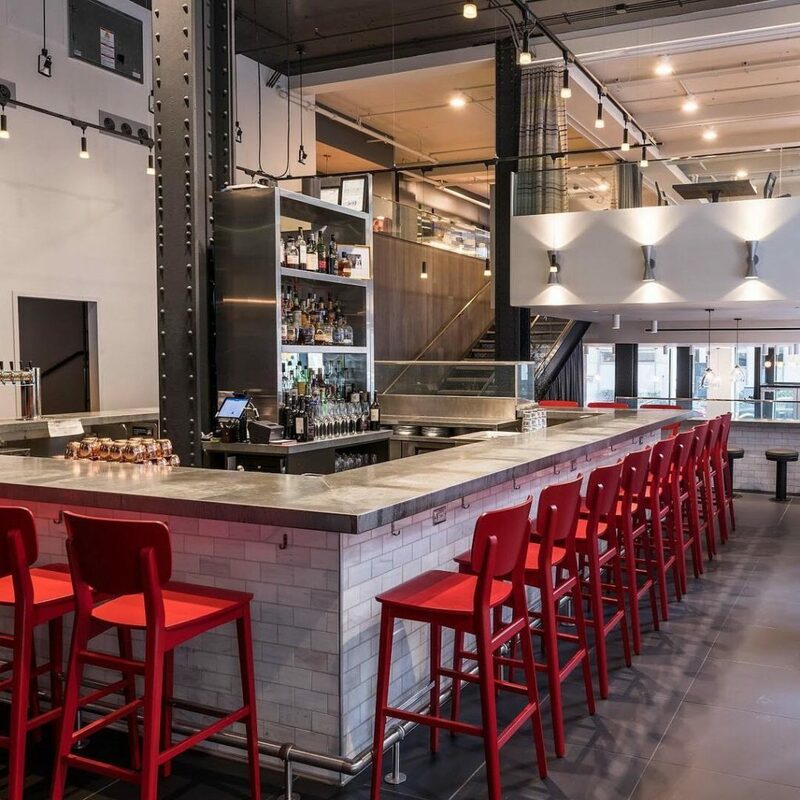 Union Standard’s bar staff are incredibly helpful, and our server guided us through what made the oysters different and what to expect from them, taste-wise. With that, the best oyster experience is one where you’re always experimenting. While you’ll likely gain a favorite variety or locale, the joy in oysters is how small differences can bring out different flavors and textures, from briny and earthy to hearty and sweet. As someone who likes to try all the dips and sauces and condiments that are so artfully presented, I tried my first oyster sans-extras. This let me get used to the official oyster slurp, the texture, and what to look for in the different varieties. Once you’re comfortable, feel free to add all the combinations of lemon, mignonette, and hot sauce your heart desires. The better oyster-shuckers you come across will do this while they’re preparing your fresh oysters, but make sure the meat is separated from the shell. Just before you impress your friends, take your fork and make sure the delectable critter is freely just sitting in the shell. 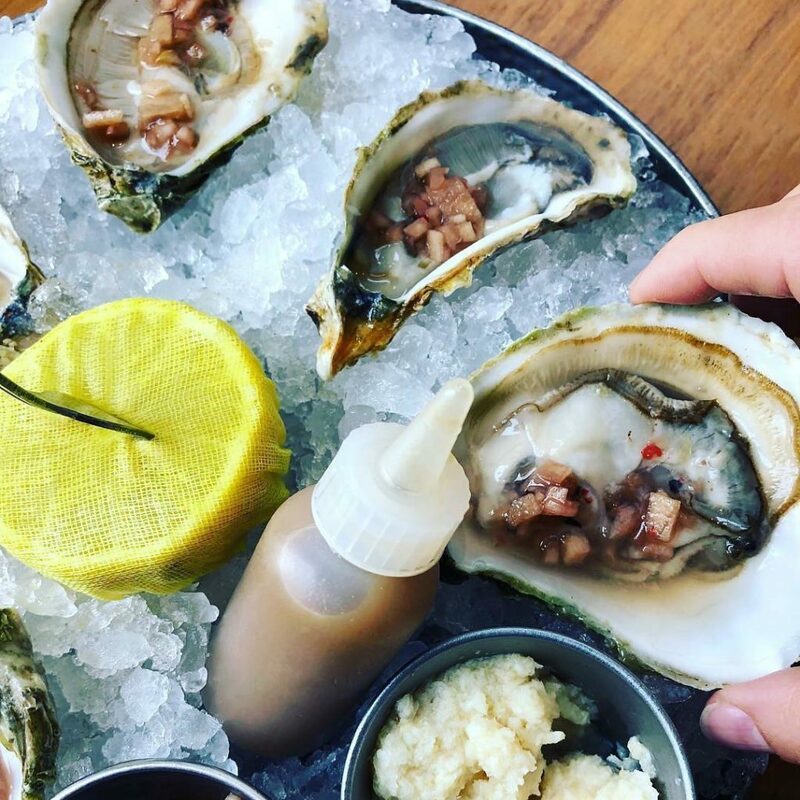 After you’re sure that your oyster is free, you’ve added any accouterments your heart desires, and you’re ready to eat, slurp the oyster from the wide-end of the shell. Chew the meat a few times in order to mingle the flavors, and enjoy. While enjoying, oysters traditionally pair nicely with a crisp and dry white wine, although with the creative cocktails at Union Standard, it’s easy to have a delightfully different happy hour with friends trying different cocktails and sharing a tray of fresh oysters after work.